Several NHL clubs have taken to the waiver wire Sunday as they attempt to prepare their rosters for potential trade deadline moves. The Toronto Maple Leafs and Calgary Flames added a player each via the waiver wire Sunday. Toronto claimed defenceman Tim Erixon from the Chicago Blackhawks while the Flames added defenceman David Schlemko from the Dallas Stars. 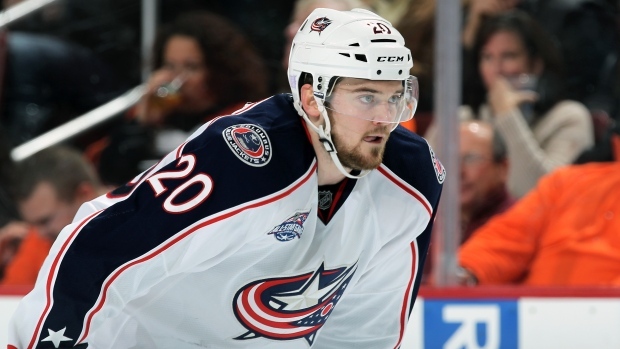 Erixon, 24, has scored one goal and five assists in 27 combined games with the Blackhawks and Columbus Blue Jackets this season, while Schlemko (27) has scored one goal and three assists in 25 games with the Stars and Arizona Coyotes this season. Originally selected in the first round (23rd overall) by the Calgary Flames in the 2009 NHL Entry Draft, Erixon has scored one goal and 12 assists in 71 career NHL games with the Flames, Blue Jackets and Blackhawks. Erixon is a pending restricted free agent currently earning $600,000 in NHL salary while Schlemko is a pending unrestricted free agent earning an average $1.188 million. Schlemko has appeared in 212 career games with the Coyotes and Stars, scoring nine goals and 41 assists. However, a few teams placed players on waivers as well. Those players include Anaheim Ducks forward Rene Bourque, Boston Bruins forwards Craig Cunningham, Edmonton Oilers defenceman Keith Aulie, Colorado Avalanche forward Paul Carey and San Jose Sharks forward Tye McGinn. Players who clear waivers at Noon et/9am pt on Monday can be reassigned to the American Hockey League, in some cases clearing up salary cap space for potential deadline deals. Teams can also claim said players, adding depth to their rosters for the remainder of the season without surrendering assets. Philadelphia Flyers goaltender Rob Zepp, Vancouver Canucks forward Brandon McMillan and Washington Capitals forward Aaron Volpatti all cleared waivers on Sunday. The NHL trade deadline is Monday at 3pm et/Noon pt.